THIS IS IT!! 2 WEEKS ‘TILL DEADLINE!!! It’s a bird! It’s a plane! It’s Pretty Smart!!!! My book has landed! Pretty Smart: Lessons from our Miss Americas, an inspiring look at what it takes to fulfill a dream and achieve success, is available throught my website, Amazon and Barnes and Noble. Miss Missouri Lacey Fitzgerald stepped onto a plane yesterday and will begin her quest for the Miss America title today in Las Vegas, Nev.
Fitzgerald said on Wednesday that she won’t have much free time once she arrives in Las Vegas. She said rehearsals begin today and will continue everyday until the day before the pageant next Saturday, Jan. 24. She and the other contestants will rehearse from 8 a.m. to 5 p.m. and will do the preliminary competitions in the evening. Fitzgerald said organizers have also planned some some fun stuff and some public appearances, as well. I had a wonderful weekend with pageant friends! First, I want to thank Lesley Nardini, Oregon International Director, for inviting me to present at a wonderful pageant workshop on Saturday, Jan. 17, 2009. I was honored to be presenting with Laine Berry, Mrs. International 2008 and Debra Gilmour, Mrs. Oregon International 2008, as well as Kimberly Takla, Tamara Wissbaum, and Kym Wylder, all my beautiful friends who have held Mrs. titles in various pageant systems, including America, International, United States, and Globe! Janice Richards, Evergreen State 50s, was in the audience and won a beautiful pair of earrings as a doorprize! 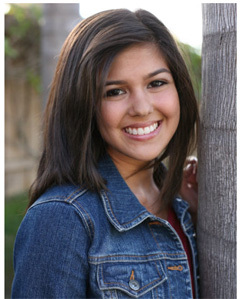 MAOT Update: Miss California’s Outstanding Teen 2005 Arianna Afsar on American Idol; Teens to speak at Director’s meeting! ; New MAOT sponsors! Congratulations to Arianna Afsar for making it into the next round on American Idol! 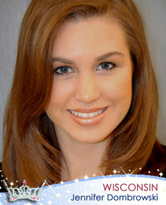 Arianna was Miss California’s Outstanding Teen 2005 and was first runner up to Miss America’s Outstanding Teen! She auditioned in Phoenix, Arizona and sang “Put Your Records On” by Corrine Bailey Rae for her audition. All four judges voted yes to send Arianna to Hollywood. Congratulations Arianna! Congratulations to the three teen titleholders that have been selected to speak at the Director’s meeting in Las Vegas about their outstanding efforts with Children’s Miracle Network! Bling It On!, a division of Titania Golf, is sponsoring the teen titleholder’s autograph signing at Miss America. All of our teens will be wearing the official crown t-shirt during their production number and autograph signing. Bling It On! allows you to bling anything you like! Check out their site: www.titaniagolf.com and purchase your very own crown shirt today! Check out the new discounted rates for the Las Vegas Mini-Workshops! Do you want to go into the entertainment industry? Are you looking for the right information to get started? Wouldn’t it be great to learn more about how to prepare for an interview, on-stage competition or simply how to develop your own sense of style? You can! Learn from the experts! We’re presenting this information in a one-day workshop, jam-packed with tips, facts and advice! The day will consist of four different break-out sessions for participants. Working with the Camera: Participants will study improvisation as a tool to integrate the different styles and skills for acting in front of the camera for media, television, film, and reporting. Preparing for the Entertainment Industry: From the importance of first impressions and presentation to the truth about finding an agent and auditioning, participants will learn how to navigate a path through the confusing world of the entertainment industry. stage, these presentation skills will last a lifetime. order to learn the process from all sides of the interview table! Please visit http://www.maoteen.org/workshop/MAOTDolphinTour.htm and SING UP TODAY! Well see you in Vegas! Local, state and national titleholders, make sure you keep fourpoints informed on all your accomplishments, major appearances and future goals by sending updates and/or photos to Julie Anne at julieanne@spmags.com! Also, make sure your subscription is up-to-date as you never know when MAOT will be submitting stories to the magazine on you!!! See you in fourpoints! Make sure you stop by the fourpoints booth at the Miss America Trade Show! You can meet the staff and see a copy of the magazine. At the farewell luncheon sponsored by La Casa Hermosa for Caitlin Brunell, Miss America’s Outstanding Teen 2008, Ami Manning presented over 50 dresses on behalf of Paris, Nicky and Kathy Hilton to Brunell for Caitlin’s Closet. Brunell started Caitlin’s Closet to be able to provide girls with dresses for special occasions that could not otherwise afford them thus raising their self esteem. The dresses were divided and many of the remaining dresses will be auctioned off by Robin Fleming and La Casa Hermosa to raise money for Caitlin’s Closet and MAOT. Funds raised for Caitlin’s Closet will go to purchase specific sizes that are in popular demand. New auctions begin every week! Please visit http://stores.ebay.com/La-Casa-Outlet to place your bids! Pictures from the Tony Bowls photo shoot are available on Printroom! 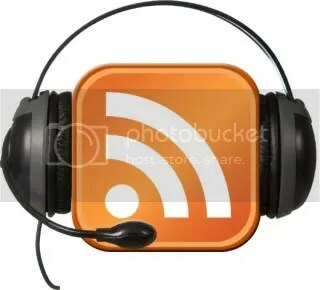 Please ask your friends and family to sign up for our weekly email blasts! They are filled with tons of information and opportunities for you to take advantage of! 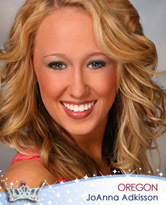 Please go to http://www.maoteen.org/subscribe.htm to sign up! 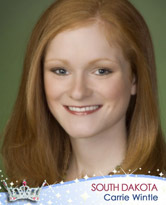 Miss America 2008 Kirsten Haglund will be interviewed live from Washington D.C. by Fox political news correspondent, Megyn Kelly on FOX News Channel, January 20 between 6:30 – 7:30 p.m. EST* about her participation in the historic events of the day. Kirsten will begin by riding down Pennsylvania Avenue on the USO Inaugural Float while greeting thousands in the Official Inauguration Parade. Later that evening she will be performing the National Anthem at the Commander in Chief’s Ball where President-Elect Obama is expected to stop by. From there, Kirsten will be whisked off at the USO’s Heroes Red, White & Blue Inaugural Ball. This ball celebrates America’s military heroes and honors injured service members and their families at Walter Reed Army and National Naval Medical Centers. This historical inaugural day will be covered by FOX and Miss America 2008 Kirsten Haglund will be present to celebrate this new chapter in our country’s history. The 52 contestants of the 2009 Miss America Pageant took on a new challenge on Sunday, January 18 – Pole Position Raceway’s indoor speedway, one of the largest and fastest indoor kart racing tracks in the United States. Each race included up to 10 participants took to the quarter-mile, indoor speedway for 12 laps. The contestants raced while using Pole Position Raceway’s Italian-made, ECO-friendly electric karts. This event continues to build the excitement for the 2009 Miss America Competition. For tickets, call Ticketmaster at 1-877-307-8667 or visit www.ticketmaster.com.